Sell Your House Fast in Bellevue, WA: We Buy Houses in 15 Days! Need to sell your house fast in Bellevue, WA? We buy houses in Bellevue in 2 weeks. If you need to sell your house fast in Bellevue – get a cash offer in 48 hours! Need to sell your house fast in Bellevue? We’ll buy it in cash. Get a cash offer in 48 hours! Hi, we’re Fast Friendly Home Buyers, a real estate investment company that pays cash for homes here in Washington. If you need to sell your house fast in Bellevue, WA, we can help. We buy houses in Bellevue, WA for cash in any condition. So no matter how ugly, beat up, or in-need of repair your home is, we’re interested in paying cash for it. Fill out the form to get started, and as long as your home is a good fit we’ll make a cash offer in 48 hours. There are no fees, and no commissions to worry about. In fact, we’ll pay closing costs and take care of all paperwork with the bank. We’ll even help with moving costs if you need! The process is fast, simple, and hassle-free. So if you’re looking to avoid foreclosure, looking to sell an inherited home you don’t want to make repairs on, or just move for a new job, we can help. Compassionate, local cash home buyers. There are a lot of companies who buy homes quickly in Bellevue, so why should you consider working with us? First, some cash home buyers may not pay great offers, or put pressure on you to take their offer. We allow you to consider our offer for 30 days, and decide if it’s right for you. We won’t push you during that time. Second, we pay top dollar for what your property is worth. This allows you to sell it to us totally as-is, you don’t even have to move anything out if you don’t want to, and we can help you with moving expenses if that’s helpful. We’ll evaluate what we can offer you, and make a cash offer in just 24 hours. We can also close really fast – in 15 days – if that’s what you need in your situation. Finally, we’re compassionate. We’re not judgmental, and we know that selling your home under the circumstances you’re in is tough, it can be emotional, and it’s hard. So you won’t experience any judgment from us. We’re here for you. What we offer you is what we’ll pay you when closing time comes. We’re ready to buy your home for cash in Bellevue. We pay cash for homes in Bellevue, and can close on your home in just a couple weeks. If you want a fair cash offer on your home in 48 hours, give us a call or fill out the form today! We buy as-is: you don’t even need to clean everything up, make repairs, or move everything out. Take what you want to move, leave what you don’t. Whether you’re in pre-foreclosure, in a code violation or just don’t have funds or the desire to fix your home up and sell it the traditional way, we can help. Basically, if you need someone to buy your house fast, then contact us today! We buy houses in Bellevue as-is, no matter the condition. We buy houses anywhere in Bellevue, so if you’re looking for honest cash home buyers in Bellevue who can help you sell your home as fast as possible, we’d love to talk with you! When it comes to selling your house, you can list it yourself, sell with a realtor (that’s the traditional way) or sell to an investor (or, cash home buyer) like us. Selling with a realtor is a great option for most people, and allows you (usually) the most money possible for your home. But be aware that you’ll have to factor in repairs, waiting for your home to sell, paying property taxes and mortgage while you wait, and more. If that won’t work for you, that’s where we come in. We buy houses in Bellevue for a fair cash offer, in totally as-is condition. This means you won’t have to worry about fixing anything, and you also won’t have to wait for the right buyer to come along. We’ll actually buy your house directly from you. You won’t earn as much on the sale of your home, but the benefits are that you usually will get a much faster sale, without having to put any money out. So if that sounds like a good fit, reach out to us today and we’ll schedule a time to come out and see your home! 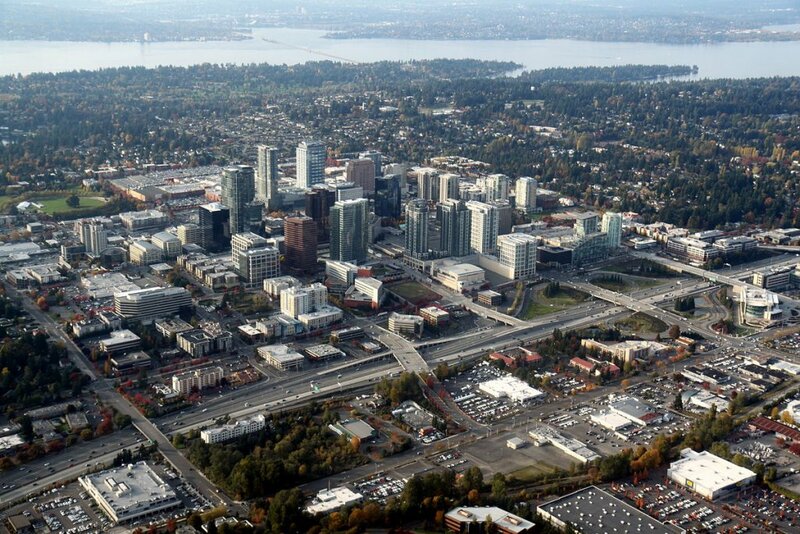 Besides Bellevue, we buy cash homes in these cities across Washington.